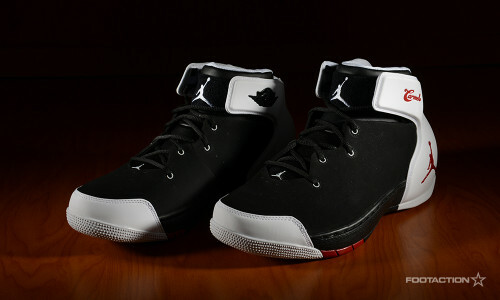 To add onto the slew of shoes releasing this Saturday, among the bunch is the Jordan Melo 1.5 in white, black and gym red. Opting for a dominantly black and white palette, complementing the smooth lines of the silhouette, the “gym red” thrown into the mix as an accent color gives the sneaker the right amount of life. Many are happy that the Jordan Melo 1.5 has returned and in a classic/iconic colorway. Availabe in stores and online on Saturday. Print article This entry was posted by hhcblog on February 1, 2014 at 8:13 pm, and is filed under Footwear. Follow any responses to this post through RSS 2.0. You can leave a response or trackback from your own site.